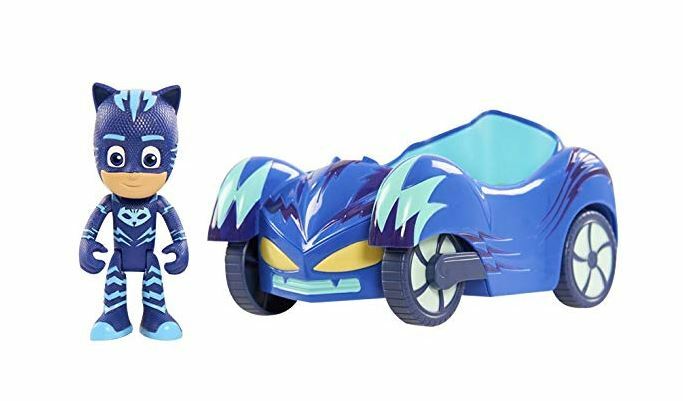 Head over to get this PJ Masks Vehicle Cat Boy Cat Car for $5.93 (Retail $12.99)! Go into the night and save the day with the PJ Masks Vehicles! The PJ Masks Figure and Vehicle Assortment comes with a 3″ articulated Caboy figure and their signature vehicle. Each vehicle really rolls and can even fit three PJ Masks 3″ Figures!